What Makes a Great Social Media Customer Service Plan? When designing a business process that directly impacts your customers, you absolutely must develop those plans with the intention of serving your customers in the best way possible for them. Every business with at least 1 social media account should have a social media policy. The formality and depth of the policy can vary depending upon your business, as long as there are some pre-determined beliefs and practices that are understood and followed by the employees who will be handling your social media activity. Your social media policy will incorporate several elements, including the amount and type of content to be shared on your social networks, the tone and language used, and how to respond to customer questions and problems. I’ve had amazing and not-so-amazing customer service responses to my personal social media inquiries. Large corporations that have notoriously-poor offline customer service reputations (like @ComcastWill and Monotronics) have been outstanding to me with regard to social media response and problem resolution. Smaller, more regional companies (like @AskSunTrust) that I have great in-person experiences with and that have the manpower and resources to do quite well on social media, has been completely dismal. 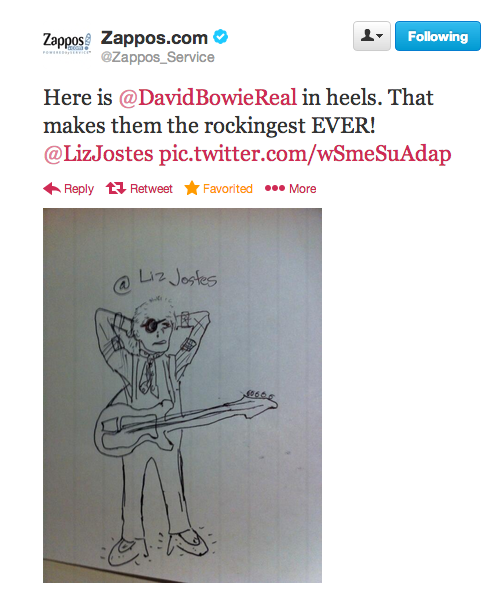 And then there are the customer service rock stars both on- and offline (likeÂ @Zappos_Service) that exceed my expectations because they do crazy-cool things like offer to sketch you pictures at your request. Alan Waisman was the man in charge of GoDaddy’s social media customer service team when GoDaddy experienced a major technical outage in 2012. The network problems GoDaddy experienced were so severe that literally millions of business websites were down, including its own. Alan recently wrote about his approach to this customer service nightmare, and laid out a clear, concise set of steps a business can (and probably should) use to properly respond to a social media customer service problem. Your customers want to feel like they are being heard, and that their personal experience and details are valuable and welcomed. They want to feel like there is either closure to their problem, or at least a set of ‘next steps’ in place to move closer to that problem resolution. You’ll never be able to ensure that 100% of your customers are 100% thrilled with your company 100% of the time. But you can ensure that you and your team have a solid action plan in place should the need arise. So now tell us, who would you want Ian to sketch for you?